Cute small growing evergreen shrub. Fern Spray Cypress has fern like branching that sprouts out from the main portion of the plant. 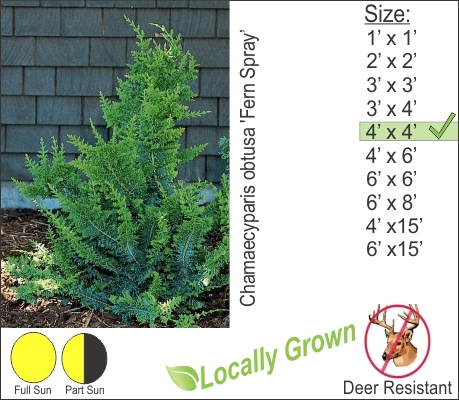 Fern Spray is also deer resistant. In late November before winter sets in make sure to water this evergreen shrub. It will help prevent drying out and and winter scorch damage.